The use of words and particularly the verbs in Human-Human Interaction reveals significant aspects of both human’s social and mental state. This work presents a novel methodology towards the emotional assessment of verbs by users. 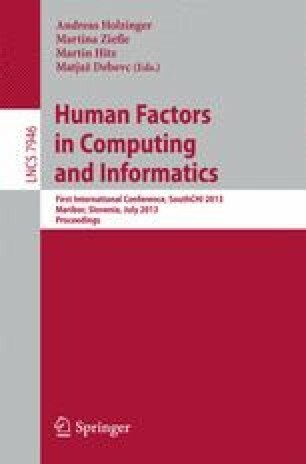 Essentially we would like to study whether the emotions that user experience are comparable with the corresponding results obtained through a mixture of natural language and statistical classifiers in SentiWordNet. Following the paper and pencil guidelines of the International Affective Picture System (IAPS) we have developed a web-based unsupervised version of the Self Assessment Manikin (SAM) test, designed for the emotional assessment of verbs in English and Greek language. Thirty five men and seventeen women participated in an internet survey version of the experiment. In the first part of the process, the participants had to assess their induced emotional state while reading a verb (totally 75 Greek verbs), on 5-point scales of “Pleasure”, “Arousal” and “Dominance”. The results comprise coherence and consistency. As a rule, all verbs obtained low to mid range scores on Arousal and Dominance axis and only on the Pleasure dimension scores are close to the edge.